You don’t have to be a millionaire to enjoy a Mediterranean beach lifestyle. One of the best things about Turkey (other than the endless sunshine, warm seas and amazing food, of course) is that it has some of the best property bargains in the Mediterranean and Aegean. It’s possible to buy a second home in Turkey – or even make a life-changing investment – without breaking the bank. What many people don’t realise, however, is that in Turkey a lower price doesn’t have to mean a compromise on quality. 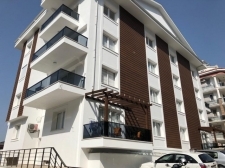 Reputable developers have constructed a number of cheap, high quality apartments in some of Turkey’s most popular resorts. With high quality fittings and thoughtful design, these bargain properties make excellent holiday homes or permanent homes. If you’re the kind of person who loves a project, there are also a number of distressed homes in Turkey. These older apartments and villas need some attention, but if you have the time and the energy to oversee renovation they can make excellent homes.